No matter how old you get, there is no escaping from the fact that LEGO is fun. It just keeps getting more amazing, the things that have been made from LEGO just keep getting cooler. 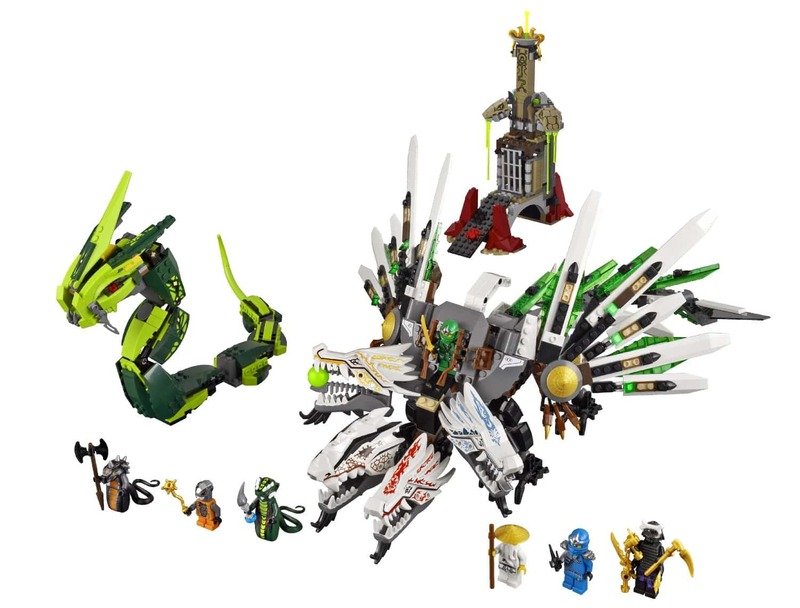 The LEGO Ninjago 9450 Epic Dragon Battle set is certainly evidence of this. There are not many things that are as cool as a LEGO dragon! Weapons, including Hypnobrai fang blade with blue anti-venom capsule, all 4 golden Spinjitzu weapons and 7 regular weapons. 7 minifigures: Lloyd ZX, Jay ZX, Sensei Wu, Lord Garmadon, Acidicus, Skalidor and Chokun. 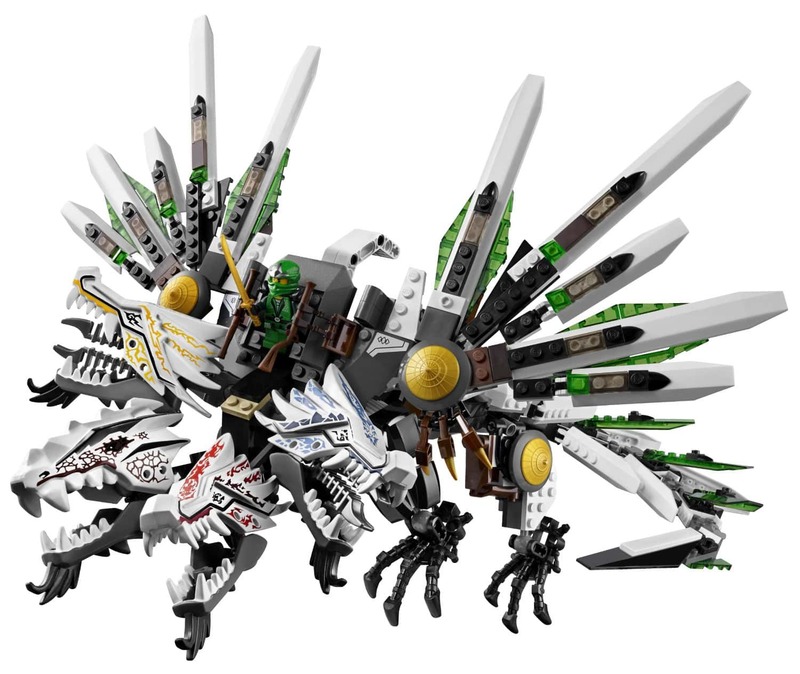 The four headed ultra-dragon is riden by the legendary Green Ninja as he tries to defeat The Great Devourer. The Great Devourer threatens to devour the world of Ninjago. This set is great for encouring imaginative play and is recommended for children between the ages of eight and fourteen. 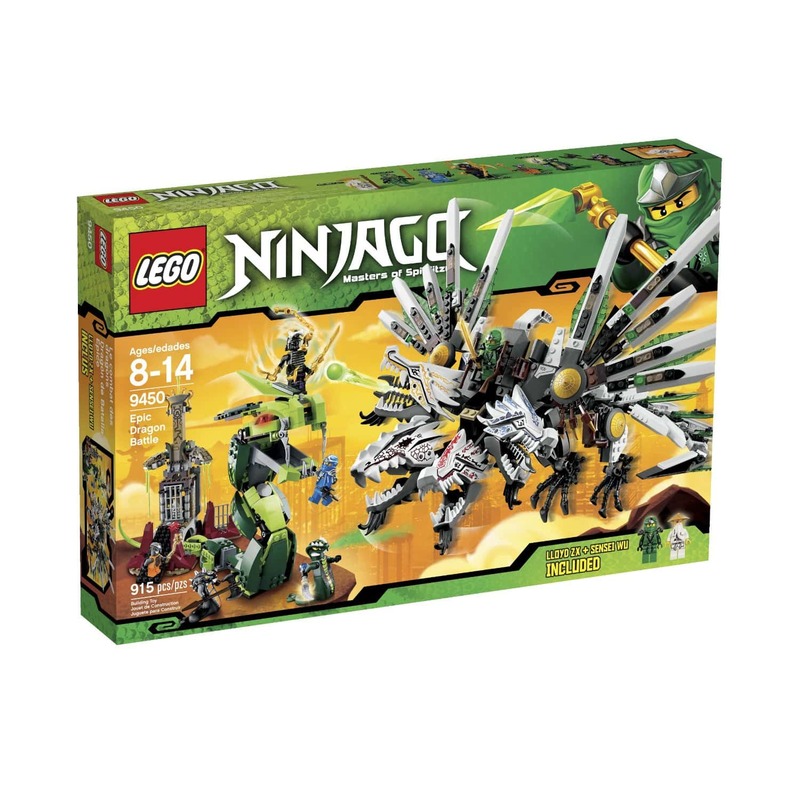 It has it's own narrative which is designed to tie in with the Ninjago TV series. Ultra Dragon measures over 20" (50cm) long, 14" (35cm) wide and 9" (22cm) tall. The Great Devourer features flexible body and opening mouth with space for minifigure. Snake prison features opening gate and space for minifigure with snake venom trap.